KAMIEN - STONE Fair 2009 will be held from 4th to 7th November, 2009 at Poznan International Exhibition Center, Glogowska Street 14, Poznan, Poland. We will show up at the fair. Our booth No. is No.93 of 3A. 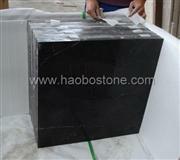 Our products: STONEBTB.com, STONES YELLOW PAGES and China Stone Sources magazine will be promoted at the very event. We wait for your visit. International Fair of Stone and Stone Processing Machinery "Kamien" is the biggest and oldest show entirely devoted to the natural stone industry. It plays a leading role and has become a focal event for those who work in the stone sector. Participation in the KAMIE? - STONE fair creates a unique opportunity to meet current and prospective business partners - leading providers of technological know-how. New solutions allowing to streamline production, reduce costs, and improve the quality of finished products - these are not the only reasons why this trade fair ought to be a firm fixture in the business calendar of all professionals.